As you prepare for an upcoming move, a lot of your logistical work is done online. 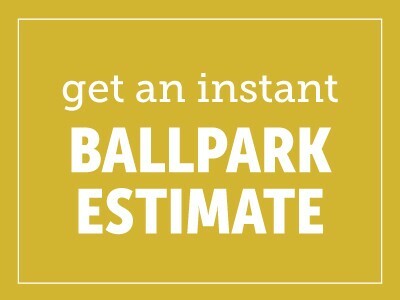 You may request a moving estimate, update your utilities, and apartment hunt all on your home computer. While online moving resources can make your transition easier, going digital also puts you in danger of rental scams. In our previous blog, “10 Warning Signs of a Moving Scam,” we helped you identify movers who may not be on the up-and-up. In this blog, we provide you with 10 guidelines to ensure that you find the right apartment, townhome, duplex, or single family home without falling prey to a scam. While you may be able to view some rental properties without a property manager present, you should be wary of any landlord who seems resistant to meeting you in person. The landlord may use an excuse like traveling abroad and may insist on communicating online only. In these scams, the so-called landlord may not own the property in question or may not have the legal right to rent the property. Rental agreements almost always require money upfront, such as a security deposit and first month’s rent. However, no reputable property manager will ask you to send money in advance or to pay to view the rental. These scams often end as soon as the money is sent, leaving your wallet a little lighter and your apartment hunt no closer to ending. A lease contract protects both your rights as a tenant and your property manager’s rights as a landlord. Your lease should specify who owns the property, your rent amount, and your responsibilities as a renter. If you rent an apartment without a lease, you run the risk of having your rent raised without warning, your deposit being stolen, or your rights being compromised. If the landlord refuses to draw up a lease, walk away. If you’re suspicious of the lease contract you do receive, mention that you want a lawyer to look over the agreement before you sign. 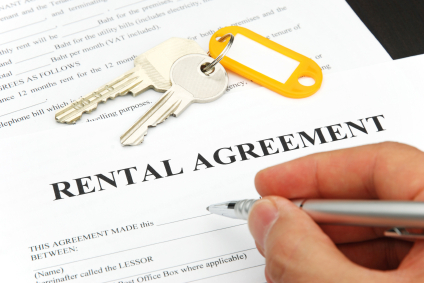 If the landlord tries to talk you out of seeing an attorney, turn down the rental offer. As the old saying goes, if a rental property seems too good to be true, then it probably is. It’s easy to get excited when you see a beautiful listing that’s much cheaper than other options, but you should thoroughly vet any rental that seems too affordable. In these scams, the pictures may actually come from a different, nicer property than the one you’ll actually be living in. No one likes to have their credit and background checked. However, these tenant screening measures are part of the rental process. If your landlord doesn’t require any screening before renting to you, he or she may be trying to coax you into a bad decision before you notice the property’s issues. While affordability can be a scam indicator, you should also watch for abnormally high deposit amounts. In a traditional scam, your money may be accepted without the scammer providing the rental you’ve paid for, just like the pay in advance scams discussed in section two. However, because deposits are often nonrefundable, your landlord may use a high deposit to get as much money out of you as possible before you really know what the property is like. Make it a policy to never rent or buy a property sight unseen. Even if you have seen a show model of the apartment or townhome you’re considering, do not sign the lease until you see your actual rental property. This simple step protects you from many of the most common rental scams. When you look for rental properties online, set high standards and stick to them. Listings that don’t include photographs or very much information should be eliminated from your search. Additionally, you should be wary of listings with poor-quality photographs, duplicate listings, and listings with bad grammar and format. A landlord may ask to see or hold your ID while showing you a rental property. However, your ID is the only personal information a landlord can request before you sign a lease. Do not provide any further information until you have seen the rental property and have decided to apply. Along with ruling out listings of lower quality, you should also stick to websites with higher standards. This step reduces your risk of falling into a scam. If you do decide to search the classifieds or Craigslist, always check the information to the property’s official website. If the property does not have another online presence, cross the listing off your list. Use these guidelines to ensure that your new temporary home is ready and waiting for you when moving day comes.